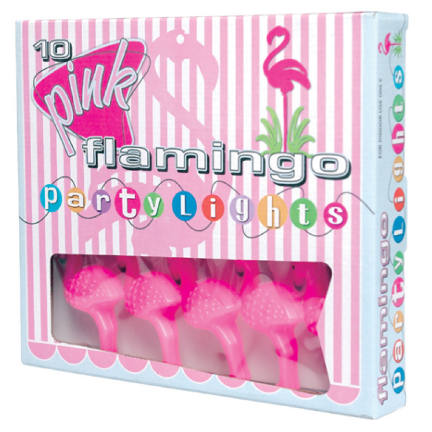 These funky flamingo party lights are sure to brighten up any event! Retro and glamorous, this loop of 10 pink flamingo party lights is sure to brighten up the room both literally and metaphorically! Fitted with BS standard 3 pin plug. Check out some of the other Flamingo gift ideas we have in stock, like Ziggy the flamingo Mug! Please note packaging may vary slightly from picture.